Kids off to a sleepover or on camp? Use out handy multi-use labels to make sure their belongings are labeled and accounted for when they come back! Great for when you're in a rush to get ready for the next camping trip or holiday. With a huge selection of bright and bold designs and colours we will have something that will match every child's unique personality! 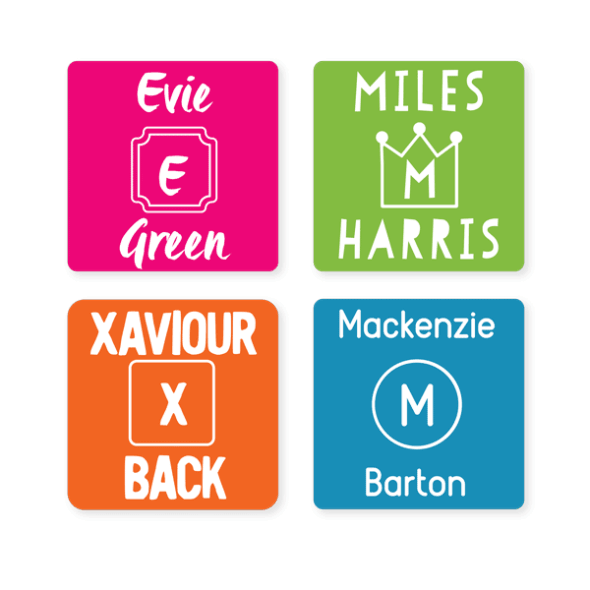 Our labels have been tested and loved by parents and carers for over 20 years. Tired of labels that just peel off after one or two uses? Or worse, don't stick at all! Thankfully, Stuck On You offer Multi-Use labels for all your needs. From labels for containers, drink bottles and books to temporary or semi-permanent labels for clothing and fabric;. these have an adhesive back and can be stuck to most surfaces and to the care instructions tag on the garment. You can also iron or sew them on fabrics for added security. Need a more permanent Clothing Label solution? Try our Personalised Iron On Clothing Labels - a machine washable, durable iron-on label which permanently bonds to the fabric. Follow all the instructions provided on the packaging, or contact the Stuck On You customer service team for more help. 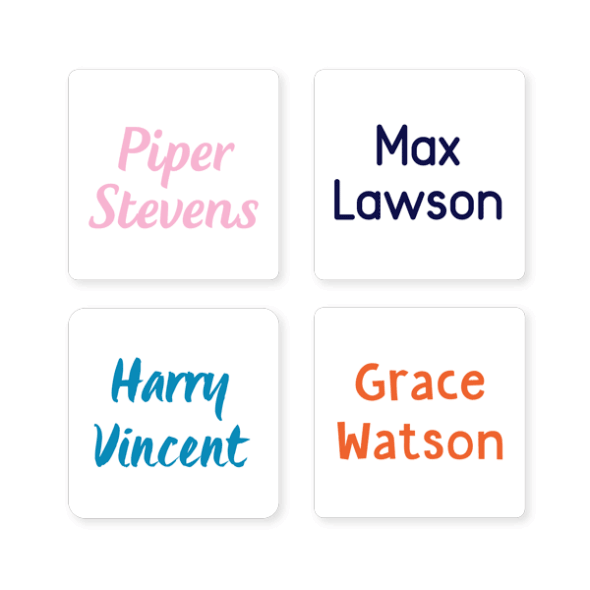 Use our product builder to choose from a range of offered colours, fonts and original designs, then simply add your name! You will love being able to preview your finished, personalised product before placing your order! Not too sure which of our products to choose? Contact one of the friendly team at Stuck On You, they will happily advise you on which product might best suit you. 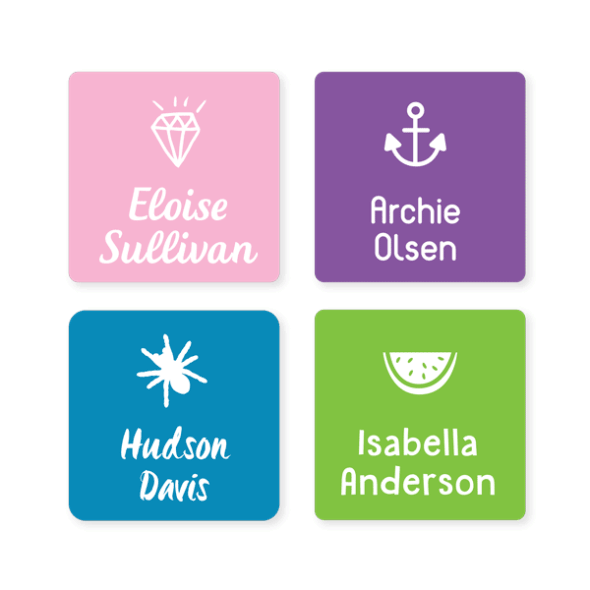 When it comes to Personalised Name Labels go with the original and the best at Stuck On You.